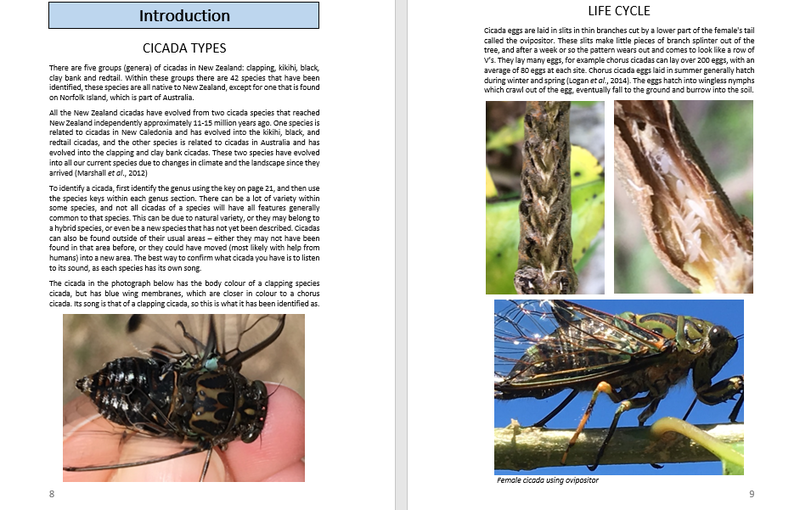 The Introduction, read about the types of cicadas found in New Zealand and their life-cycle. Each cicada genus has an introduction and a key to help identify the cicada species. Each species is fully described. This page is for the chorus cicada, the largest and best known cicadas in New Zealand.